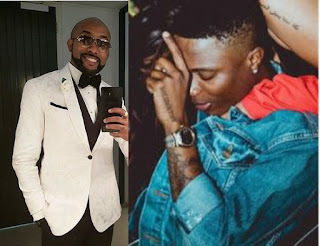 Nigerian music superstar and Starboy record label boss, Wizkid who initially missed his former record label boss and R&B singer, Banky W's traditional wedding in Lagos and took to his social media page to apologize with the promise to attend the white wedding did not fulfil his promise as he was reportedly spotted in Lagos watching cartoon with his first son. "My big brother and boss for life! Love u bro ?? God bless your day! Lord knows how sad i am missing this special day?? We go rock church wedding ..Love forever! ", Wizkid wrote after missing the traditional wedding. 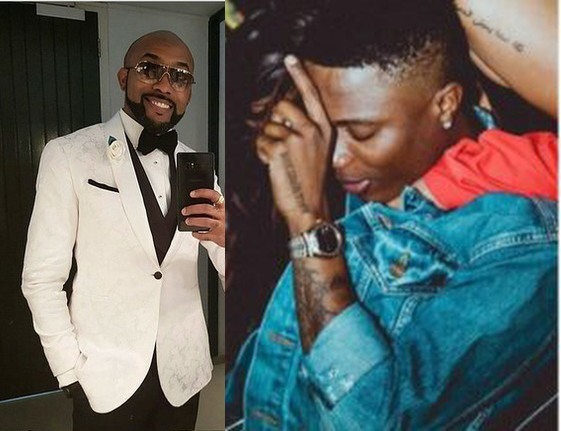 But he eventually missed the white wedding that held in Capetown in South Africa that had in attendance Wizkid's former label mate Skales, Ireti Doyle, Noble Igwe, Toolz, Ebuka Obi-Uchendu, Linda Ihuoma, among others. Wizkid later took to his social media page yesterday to confirm that he wasn't at the wedding after sharing a photo of him with his first son bonding with the caption "Baba came to chill".